'copy' => 'Narendra Modi has been the most transformative Prime Minister India ever had. In popularity and power he surpassed both Jawaharlal Nehru and Indira Gandhi. In reforms he broke the record of P.V. Narasimha Rao and A.B. Vajpayee. He instilled aspiration in Indians as never before. Under Modi, India witnessed the greatest power shift—the BJP with a new political narrative and style emerging the ruling party and replacing the six-decade supremacy of the Congress. The government became modern, digital, graft free, accountable, and credible and is involving the public like never before. It brought GST, demonetisation and India-centric diplomacy, scrapped obsolete systems and rules, fixed targets and goals on Clean India drive, welfare schemes, and building of roads and ports. How Modicare, free cooking gas, smart cities and ease of doing business are changing lives. 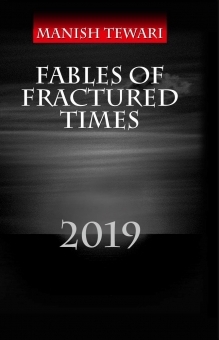 What are the tales of Rafale, lynchings, award returns and intolerance. How Modi and Arun Jaitley are cleaning up the NPA mess. How affirmative actions ensured a new deal for minorities, OBC and SC/ST groups. How anti-Modism is driving the Opposition. How Amit Shah has made BJP an election roller coaster. How Nitin Gadkari in four years has built more roads than in UPA’s 10 years; How Modi ended cronyism exposed in the Radia tapes. How Modi has changed systems and made a new India; How the Modi leadership can be defined in ethos, pathos and logos. 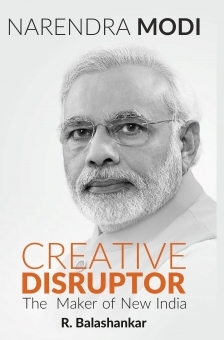 This book is a detailed assessment of Modi’s impact on Indian polity and its course in the future. Dr R. Balashankar is a political analyst, activist and academic. 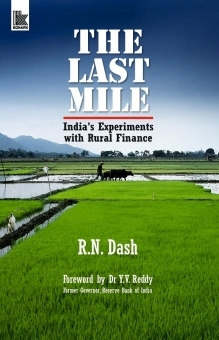 He has been extensively writing on the new phase in Indian polity. He is a former Editor of Organiser weekly and former National Convenor of the Bharatiya Janata Party’s (BJP) Intellectual Cell. He was advisor to Dr. Murli Manohar Joshi, the Union Minister for HRD and Science and Technology, in the Vajpayee Government from 1998-2004. Balashankar headed the Sant Kabir Chair for Development Communication of the Kushabhau Thakre University, Raipur. He has a PhD in History of Information Technology in India and postgraduate degrees in History and Economics. He is a regular columnist for NDTV, Outlook, DailyO and many other publications. Currently, he is the Co-convenor of BJP’s Department on National Training Programme and Department of Publications. He has also authored two more books—Agitation against Bengal Partition and History of Indian Telecommunication. 'copy' => 'Crimes occur in every society. But the true test of a society lies in the way its criminal justice system functions. Unfortunately, the standards of criminal justice system have been on a decline in India and have been a cause of worry for those at the helm who have been working tirelessly to uphold the values espoused by the country's judicial system. While the reason for the current scenario mainly rests with non-upgradation of the system, The Criminal Justice System in India emphasises the fact that the judges and lawyers have a duty towards society and their integrity and legal acumen determine the quality of justice. In a democratic society governed by rule of law, the State has a right to do what is fair and just. At the same time, the legitimate claim of the citizens should not be defeated. 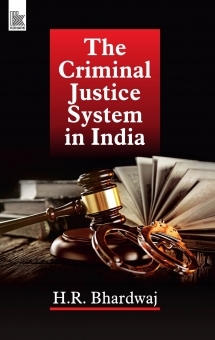 This book has reviewed the various arms of judiciary and has attempted to present the criminal justice system in India in a new perspective with focus on human rights and civil liberties. H.R. BHARDWAJ was the Governor of Karnataka from 2009 to 2014 and the acting Governor of Kerala from 2012 to 2013. He is a member of the Indian National Congress. He holds the record of having the second longest tenure in Law Ministry since independence. As a law minister in the Manmohan Singh-led UPA I government, he introduced the concept of rural courts. His earlier stints as a law minister in the Rajiv Gandhi government and the P.V. Narasimha Rao government had earned him the reputation of being a crusader for improvement in judicial infrastructure and computerization of law courts. In his capacity as a minister, he has introduced wide-ranging reforms, particularly in the field of legal aid, legal education and improvement in service conditions of Supreme Court and High Court judges. Bhardwaj's zest for civil liberties and human rights came to the fore during his time as senior counsel of the Supreme Court of India and also as a senior standing counsel for the state of Uttar Pradesh, a position he gave up after being elected to the Rajya Sabha in 1982 from the state of Madhya Pradesh. He served as Minister of State in the Ministry of Law and Justice from 31 December 1984 to November 1989 and was re-elected to the Rajya Sabha in April 1988. He was then Minister of State (Independent Charge) in the Ministry of Planning and Programme Implementation from 21 June 1991 to 2 July 1992 and Minister of State in the Ministry of Law, Justice and Company Affairs from 3 July 1992 to May 1996. He was again re-elected to the Rajya Sabha in April 1994 and April 2000, and from 22 May 2004 to 28 May 2009, he served as Union Cabinet Minister of Law and Justice. Bhardwaj, who was conferred an honorary Doctorate degree in Law by Maharishi Dayanand University, Rohtak and honorary fellowship by the Institute of Company Secretaries, has authored two books: Law, Lawyers and Judges and The Soul of India. 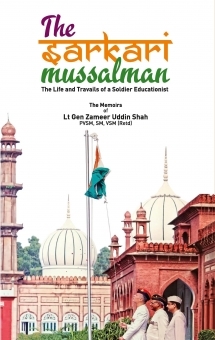 'copy' => 'In this book, Lt Gen Zameer Uddin Shah explains the intriguing title of The Sarkari Mussalman (Government stooge), which those in government service are often accused of being when they ‘go by the rules’. Besides covering the span of his life of the past 70 years, from his education in the family madarsa, then in a boarding school, his Army service of 40 years, and the 1971 Bangladesh Liberation War, the author also deals in detail with how he led the Army Division that quelled the riots in Gujarat in 2002, in the aftermath of the Godhra train burning. 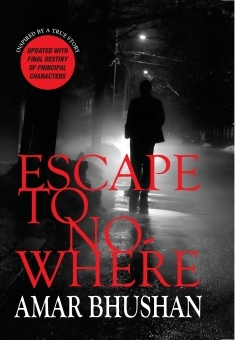 In the chapter, the author has also put forth his views on the role of Police, the Para Military Forces and the Army. He also details in an interesting manner his three years stint in Saudi Arabia as the Defence Attache, as well as his term in the Armed Forces Tribunal. As Vice Chancellor of Aligarh Muslim University, the author had to contend with some challenging issues. During his final year at AMU, the varsity was ranked by international ranking agencies as the top most university of the country. He strongly feels that Indian Muslims need education, as discrimination, which certainly exists, is against the less educated. The book would interest a wide cross section of readers, especially, the young who wish to opt for a military career and of course those who wish to know what soldiering is all about. Born on 15 August 1948, Lt Gen Zameer Uddin Shah is an alumnus of St Joseph’s College, Nainital, the National Defence Academy and the Indian Military Academy. He spent 40 years in the Army. He also served as Defence Attache in Saudi Arabia from 1994–1997. The author is a recipient of Param Vishisht Seva Medal (PVSM), Sena Medal (SM) and Vishisht Seva Medal (VSM for distinguished service to the country.